This creamy smooth and ultimately delicious mango cheesecake ice cream is simply easy to make at home without any ice cream machine but just by blending. 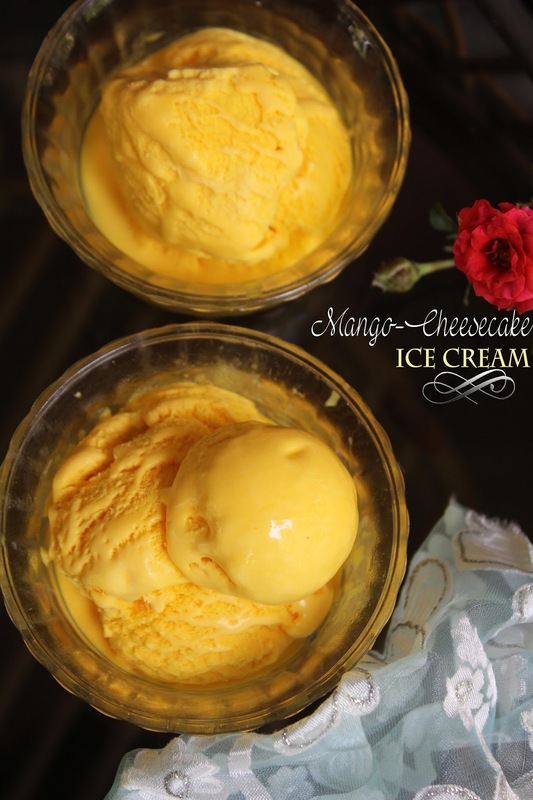 Try it at your home and enjoy the hot summer with the delicious scoop!!! 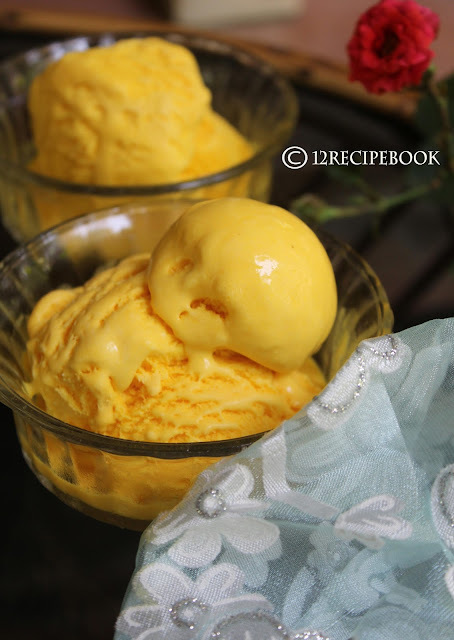 Beat ingredients from 1 to 4 by using an electric blender until creamy and smooth. Freeze it for about 4 hours. After that beat it once again until creamy. Add mango puree and food color. Beat again until completely mixed. Freeze for overnight or at-least 8 hours. Keep in room temperature for about 7-8 minutes before scooping.